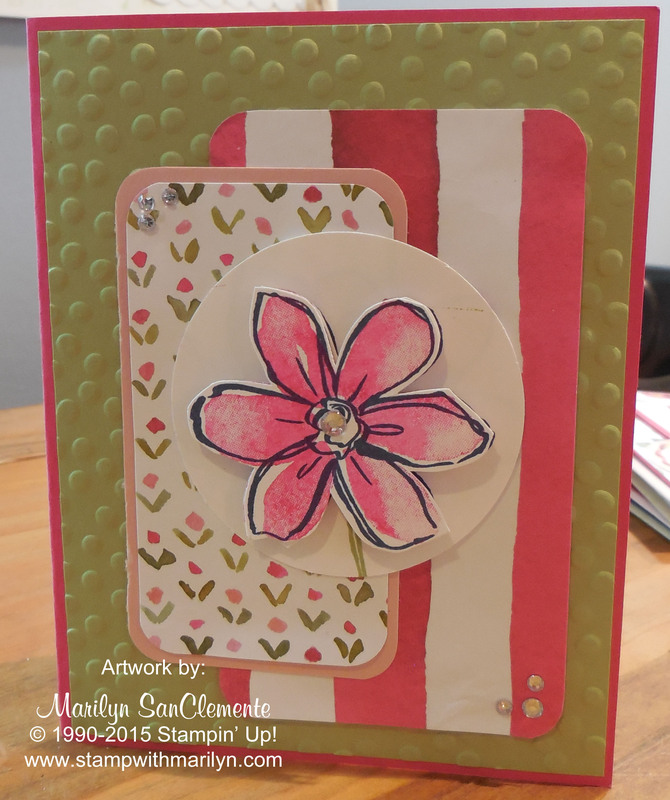 Today I have another card that I have made with the English Garden DSP and Garden in Bloom stamp set from the new Stampin’ Up! Catalog. Have you figured out that this my favorite Designer paper from the new catalog? The designer pieces corners have been rounded using the corner rounder. 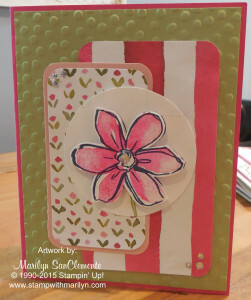 The flower is stamped with Night of Navy ink and Melon Mambo ink with the Garden in Bloom stamp set. I really like this new set. And don’t forget the bling!! I added a few Rhinestone jewels to the corners of the DSP and a large Rhinestone jewel to the center of the flower! I have a few more designs to share with you! So stay tuned!